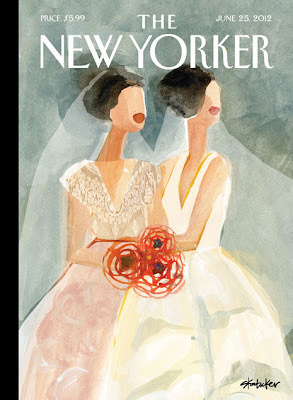 Yesterday The New Yorker posted Gayle Kabaker's "June Brides"
DOMA decision. 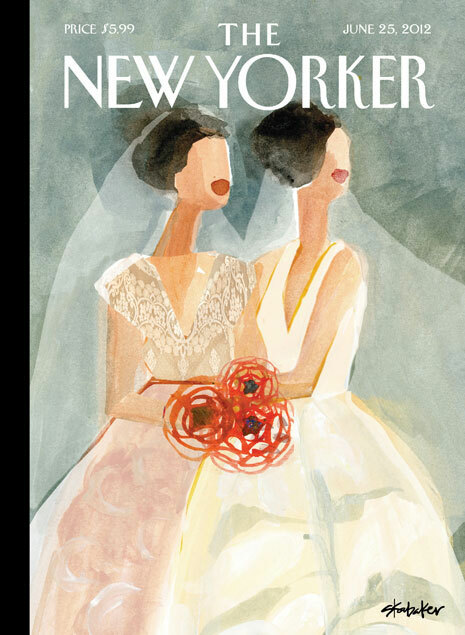 "June Brides" was their June 25, 2012 cover. Currently the post has 4,794 Likes, 2,191 Shares and 68 comments.